Hands down, the book I've been selling hardest to friends and family. Mollen is crazy in the way we all are and she let's us know that it is totally fine to be insane. Thank you Mrs. Biggs. Her love for her dogs and her husband (Jason Biggs) is palpable and almost makes me believe in soul mates (and soul pets). At the very least she’s made me want to be adopted by them. We’re all like Jenny, and while not all of us have had transcontinental relationships with a German (mine was British), we have all had inclinations to follow our boyfriend’s ex-girlfriend to make sure she’s obsessed with us. Just when you think you have a crazy life you read this book!! A Great read!! 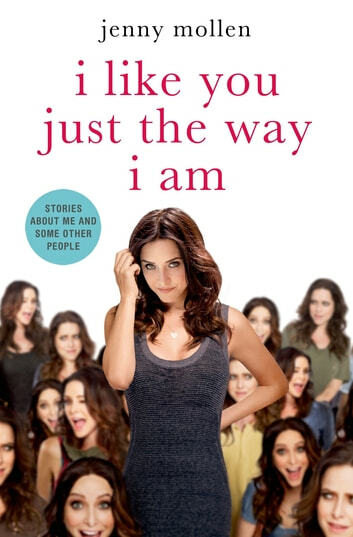 Whether you know who Jenny Mollen is or not, you're going to wet yourself laughing reading this book. Not recommended for prudes, the easily offended or boring people.